Spectre Performance will be attending the Goodguys 19th PPG Nationals in Columbus, Ohio this weekend. 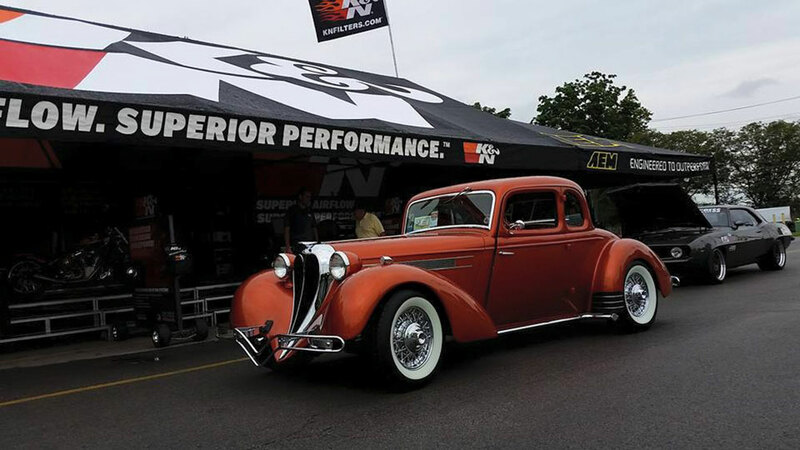 The Goodguys PPG Nationals takes place every July in Columbus, Ohio. The show brings in over 6,000 vehicles along with over 75,000 people throughout the three-day event. Hundreds of vendors line the midway showcasing new products and competing for awards like the Best New Product and Best Booth Display. The Saturday evening award gala includes two of the biggest awards all year, the Street Machine and Street Rod of the Year while the autocross includes the ultimate showdown between vendors. 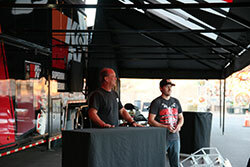 Staff will be present in four different locations across the fairgrounds to answer questions and talk about product. Spectre Performance has attended the PPG Nationals since 2010. Though the show was known for its number in participants and spectators back then, the growth over the last six years has been extremely impressive. Though, with so many spectators walking the midway and endless aisles of show vehicles, how can one see it all? 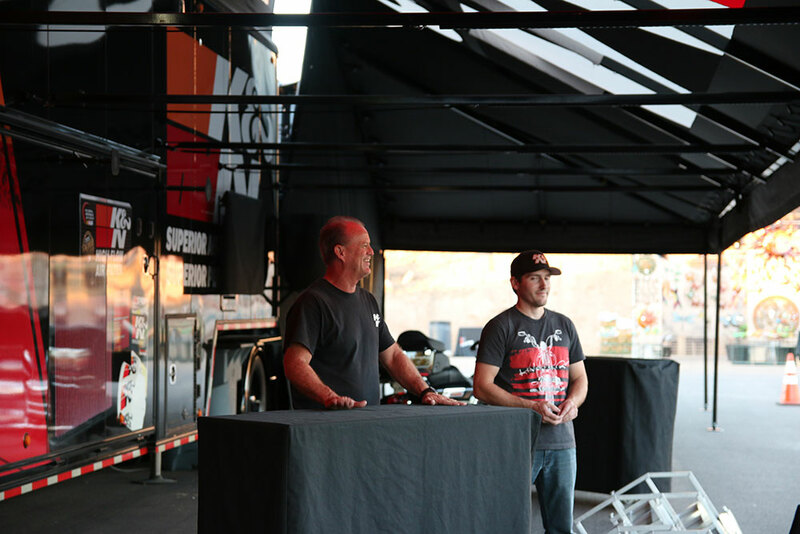 One of two K&N and Spectre truck and trailers will be set up by the autocross to provide a pit area for all the Spectre ambassadors racing throughout the weekend. Rather than displaying in one location during the PPG Nationals as they had done in the past, Spectre Performance will be displaying in four different locations across the entire show. The main booth featuring all four brands names including K&N, AIRAID, and Spectre will be located in the main vendor midway. This is where you can find several products on display, talk to brand representatives and check out some beautiful builds. 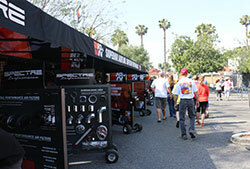 The Spectre booth near the autocross will also host on-site custom air intake design and installations. 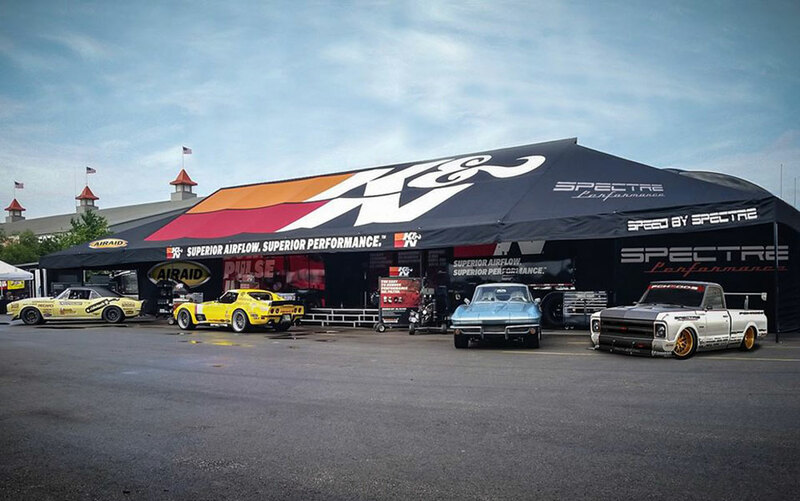 Near the autocross, Spectre Performance has another truck and trailer display that will be flying the K&N and Spectre banner. This trailer will be home base to several autocross participants throughout the weekend. The autocross is where you can catch a glimpse of the competition along with several fast cars and screeching tires. The autocross is always one place that is guaranteed to provide entertainment to all ages. 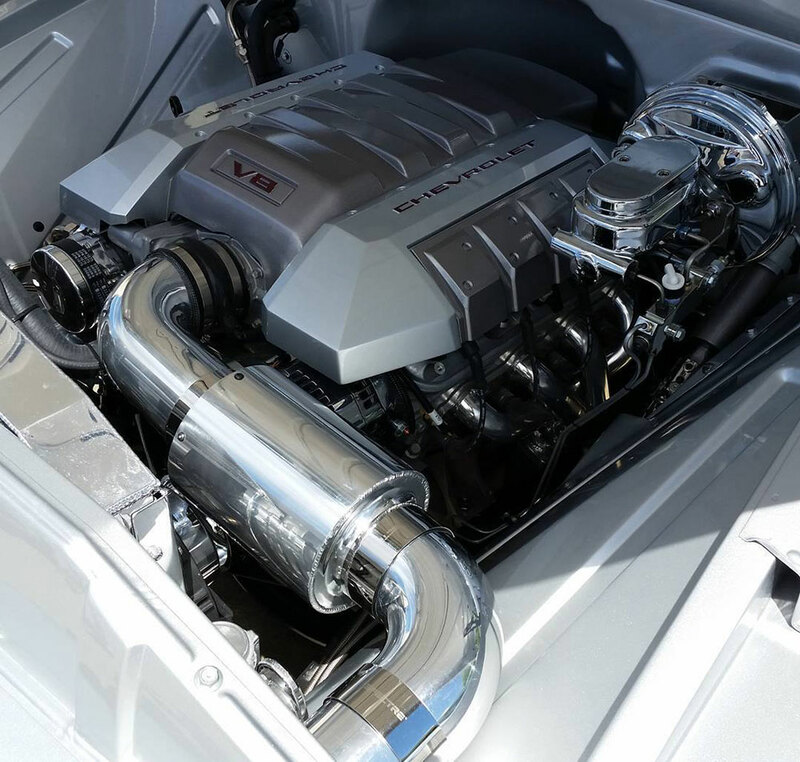 Spectre has done several custom air intake installations at events such as the PPG Nationals. Five Spectre sponsored drivers will be in the Spectre Performance booth with their vehicles as brand ambassadors throughout the weekend. You can find hero cards on each of these drives at the Spectre Performance/K&N trailer. Drivers are available for questions, pictures and autographs so make sure to get your hero cards and get them signed by each of the drivers. 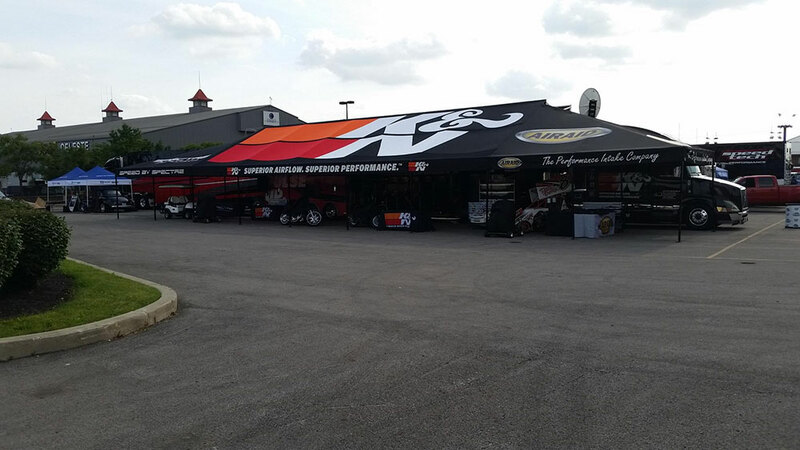 The huge K&N and Spectre awning near the autocross will provide shade to live demonstrations and on-site air intake installs. In the past, Spectre has been known to build one-off custom air intakes for most applications. Customers would often bring their cars into the booth so a Spectre representative could fabricate a unique and custom air intake system for their car. Goodguys Columbus will mark the return of this popular service. Make sure to check out the Spectre and K&N displays to see the latest products and spin the wheel to win a prize. As you enter into the Goodguys PPG Nationals, you might find a small pop-up with the Spectre, AIRAID and K&N name. Here you can find product brochures along with information on the displays across the show, raffles held at the main Spectre Performance/K&N Booth and info about show attendee discounts. When wandering through the event, it is hard not to get lost among all the cars. 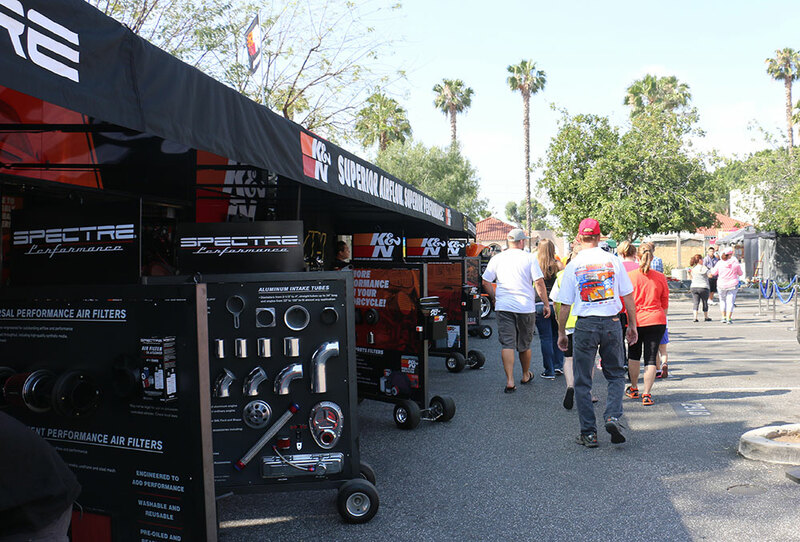 Spectre Performance and Autometer Products put a trailer together that travels across the county displaying their latest products at car shows and race events. This trailer will also be on display at the Goodguys PPG Nationals on the opposite side of the venue from the main Midway. From intakes on display to raffle prizes, Spectre has brought a little bit of everything to the Goodguys PPG Nationals. If you plan on attending, make sure to stop by the Spectre and K&N trailers to spin-the-wheel, see the latest products or check out some of the fastest autocross racers on the Goodguys circuit. If you have to live vicariously through our newsletters, make sure to sign up for the Spectre Performance Newsletter and check back for more event updates.